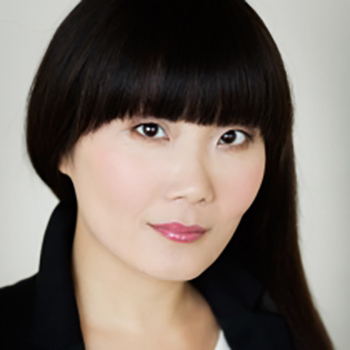 Emi is a Melbourne-based actress, performer, voice artist and singer who was born and raised in Hokkaido, Japan. Since early childhood, Emi was passionate about acting and studied English for the sole purpose of pursuing her dream. She moved from Japan to California and graduated from San Diego State University with a Bachelor of Theatre Arts, performance emphasis. Now, life has brought her to Australia and her drive remains as strong as ever. Emi wears her heart on her sleeve and finds joy in the little pieces of life. Creativity inspires her and pushes her to be the best version of herself. Her recent credits include Malthouse Theatre’s Blaque Showgirls (written by Nakkiah Lui, directed by Sarah Gilles), award-winning short film Talk to Me (written and directed by Lucy Campbell), Triple J Award winning music video, and Life is Better Blonde’s MINE and FIRES (directed by Natalie Erica James). She also appeared in Avenue Q and Miss Saigon in local theatre productions. Emi was nominated for Best Performance in Talk to Me at South Australian Screen Awards.